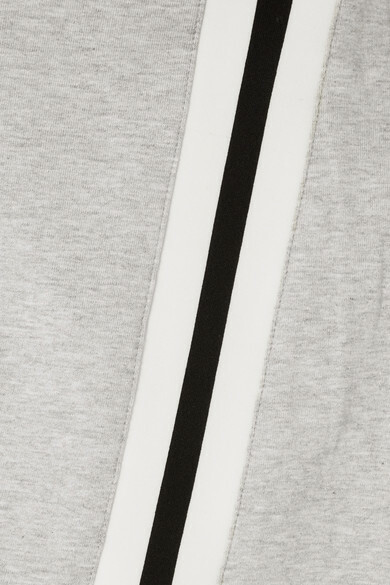 Cut for a relaxed fit, Norma Kamali's hoodie is made from soft gray cotton-jersey and detailed with white and black stripes to match these track pants. The exaggerated hood has a functional zip, so it can also be left undone and draping. Shown here with: Alexander Wang Belt bag, ATP Atelier Slides.